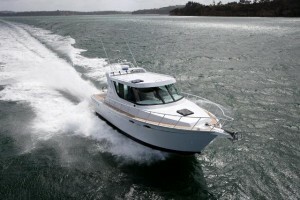 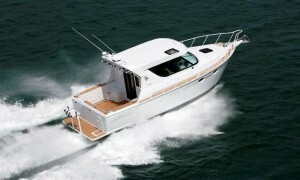 Described as the Quintesential 35’ Aluminium Kiwi Family Weekend pleasure boat by its owner, the RAMCO 35 was designed with the average recreational fisherman in mind. To achieve the performance from what would be a relatively heavy vessel for its size, and to ensure minimal usable space was taken up with drive lines, Q-SPD was selected as the robust low maintenance choice for the power and mission. 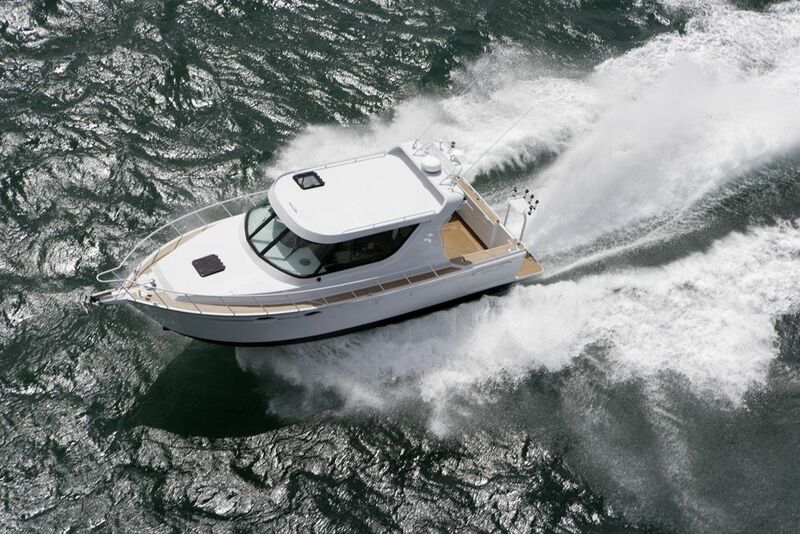 The Yanmar 6LYA-STP 370hp engine runs through ZF85A gearbox at 2.5:1 reduction and is close coupled via CV drive shaft to the Q-SPD SD200 Surface Drive.